Enjoy a farewell dinner at local restaurant. Private Guided Car Transfer to Tan Son Nhat International Airport to catch your flight back to your country. 18:00 PM: Discover Saigonese’s nightlife-style by “cyclo” which is one of the wonderful night activities in Saigon you must try. 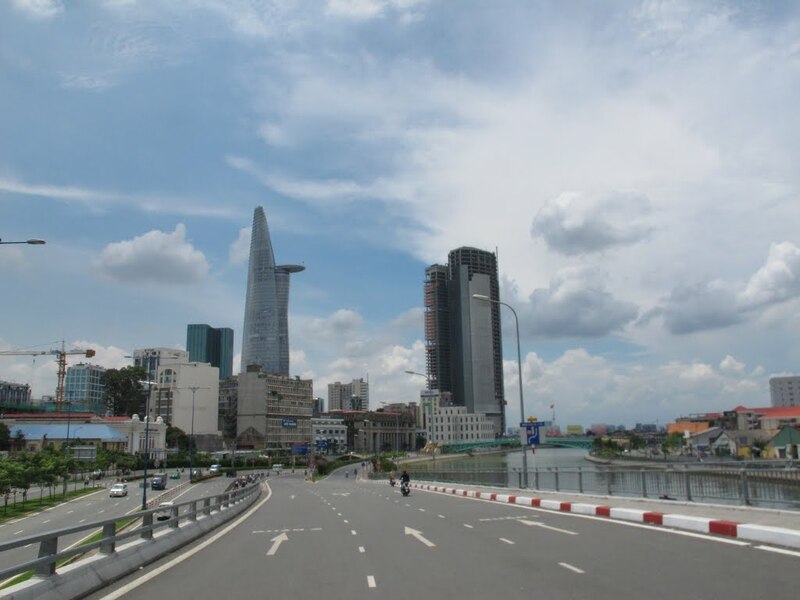 The combined Saigon Cyclo tour with dinner cruise will take you around the city on some main streets, pass Ben Thanh Market, General Post Office, Notre Dame Cathedral, People Committee Hall, and Saigon Opera House (about 01 hour) and then stop at Saigon Riverside for embarking dinner on the cruise. In the morning, our staff will pick you up at your hotel then transfer to Serenity Dental Clinic– Ho Chi Minh City Branch for checking. In the morning, our staff will pick you up at your hotel then transfer to Serenity Dental Clinic – Ho Chi Minh City Branch for Implant Treatment processing. Can Gio, 60km southeast of the center of Ho Chi Minh City. The mangroves forest in Can Gio possesses a high biodiversity with more than 200 species of fauna and 52 species of flora. The effects of the recent wars on these ecosystems have been devastating and large efforts have been made by local people to rehabilitate the mangroves. Today, it has become one of the most extensive sites of rehabilitated mangroves in the world. Can Gio is a swampy island where the Saigon River meets the sea. This ecological tour takes you away from the bustle and hustle of Saigon for a unique natural environment. Speed jungle boat, the climax of the tour, take you to the Vietnamese base in the war. Back to Ho Chi Minh City in the afternoon. Drop you at the hotel. End of a day trip. In the morning, our staff will pick you up at your hotel then transfer to Serenity Dental Clinic – Ho Chi Minh City Branch for Dental Treatment processing. In the morning, our staff will pick you up at your hotel then transfer to Serenity Dental Clinic – Ho Chi Minh City Branch for final check your Dental Treatment to make sure everything has been done perfectly. Free at leisure until transfer to airport for your departure flight back your country. Say goodbye and we wish a blissful smile always be on your face. Dental Implants Ho Chi Minh City Package Tour for 08 Nights & 09 Days. Hurry Up! Once dearly called Diamond of the Far-east with the luxury level overriding that of Hongkong or Bangkok, Ho Chi Minh City is now the most populated city in Vietnam. Modern office skyscrapers, amidst Oriental style pagodas and food stalls along the street, create a dynamic urban area in the very special sense. It is not oddly tidy like in Singapore, nor is urban slumps omnipresent like in India. * The itinerary is subject to change depending on weather, flights, road condition, availability of rooms and dental treatment processing.